Hotels in Kuala Lumpur are predominantly Muslim-friendly as Islam is the city’s main religion. Although some are fitted with bars and lounges that serve alcohol to foreign travellers, you can find many hotels with alcohol-free restaurants that serve food prepared according to strict halal specifications. Additionally, all guestrooms have clear Qiblah indications and prayer robes, TVs without adult entertainment channels and extensive room cleaning services. Muslim-friendly hotels in Kuala Lumpur also offer easy access to the city’s breathtaking mosques, where you can fulfil your religious duties and mingle with the local Muslim community during your holiday. 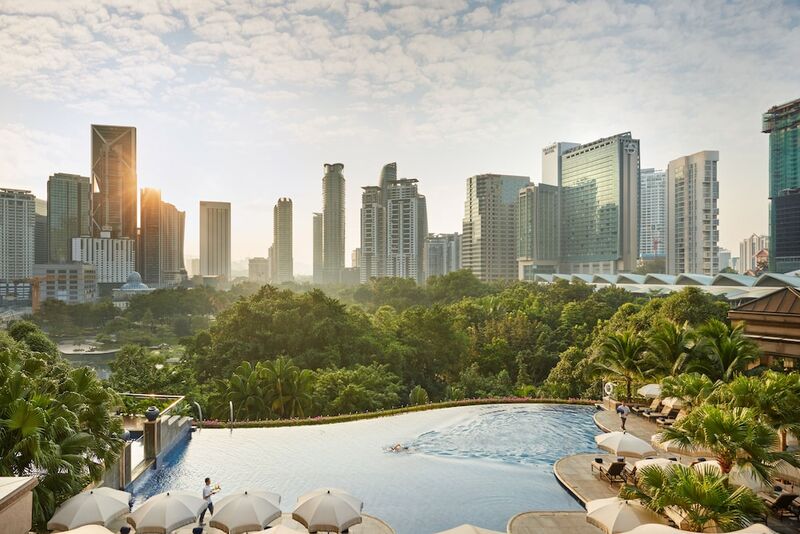 From elegant five-star hotels to mid-range accommodation, our list of Kuala Lumpur halal hotels caters to Muslims travellers looking to enjoy a comfortable stay in the Malaysian capital.